Flamingo Medical Clinic & Flamingo Pain (Las Vegas) - Book Appointment Online! 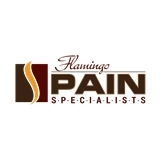 Welcome to Flamingo Medical Clinic and Flamingo Pain Specialists. Our physicians are highly trained medical doctors specializing in the diagnosis, treatment, and medical management of patients with pain. We also treat a variety of primary care medical problems, including colds, flu, earache, back pain, conjunctivitis, rashes, sprains, headache, high blood pressure, diabetes, STDs, and others. We accept most insurances (some out of network) including Medicare and Medicaid. We offer new patient visits for $80 and follow-up visits for $60 if you do not have insurance or choose not to use it. School sports physicals are $50. We offer convenient evening and weekend appointments for patients with busy schedules! Very professional and thorough. Explained what he thought was my issue was and treatment options. Will be using this clinic going forward.